Join us for Crawford, Coffee & Cars at Hale Farm & Village in Bath Ohio. Experience the beauty of Hale Farm & Village in the fall, and join us for the final Crawford, Coffee & Cars of the season. Bring your favorite prized vehicle and enjoy a cup of coffee on us as we share a morning of all things cars and coffee. NOTE FOR ATTENDEES: For the safety of our guests and their vehicles, we ask that cars must remain parked/stationary at all times. This includes no display mode for electric vehicles. PLEASE NOTE: You do not need a car to attend this event. 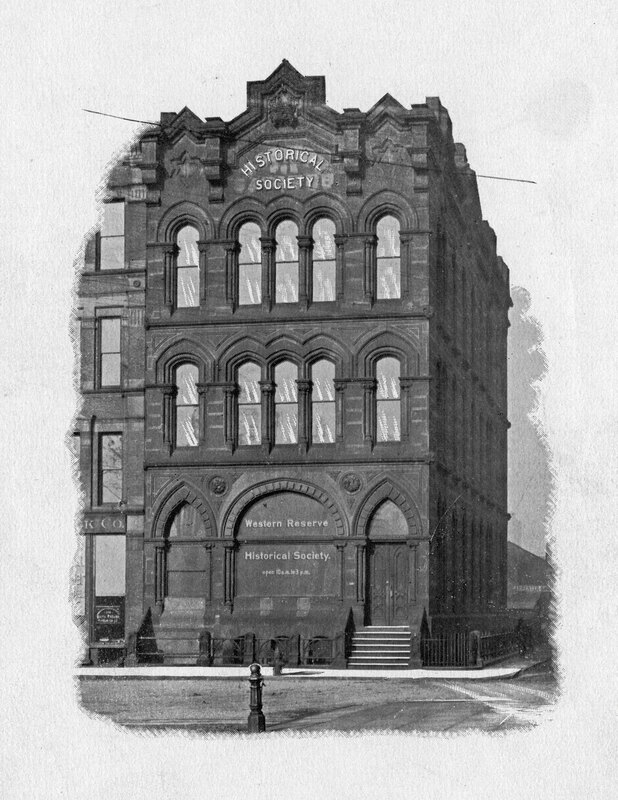 WRHS first home, the third floor of the Society for Savings building located in Public Square. Stop and think about that for a moment. For 150 years, WRHS has preserved the rich history of Northeast Ohio by capturing and sharing countless captivating stories of the region and America. And it all started very humbly on Cleveland’s Public Square. On May 28, 1867 Charles Baldwin and a small group from the Cleveland Library Association established a new historical department with a mission to discover, procure, and preserve whatever relates to the history of Cleveland and the Western Reserve. It was Baldwin’s vision to create a new cultural society. And in the beginning, WRHS’ first headquarters was on the third floor of the Society for Savings Building on Public Square. For 25 years, WRHS had no charter but was dedicated to collecting historical articles and artifacts, as well as publishing historical papers. Today, WRHS has become one of the largest and most diversified historical societies in the United States with six sites in four counties and more than 1 million items in its Library and Museum Collection. The story of WRHS’ expansion dates back to a Cleveland Plain Dealer article in 1889 that noted how the Society was receiving visitors from abroad and teachers with their students. 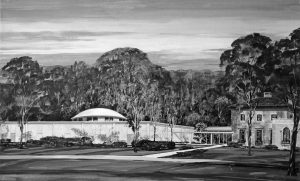 Due to this interest, WRHS quickly expanded its space and changed locations to accommodate its growing collection. Then in 1938, the widow of Price McKinney sold her home—the Hay-McKinney Mansion—to the growing historical society to house museum collections. WRHS soon acquired in 1938 the Bingham-Hanna Mansion in exchange for its property on Euclid and 107th. It didn’t take long for the Society to further grow its museum space. Rendering of the Crawford Auto-Aviation Museum. In 1948 Laurence and Robert Norton and their sister Mrs. Fred R. White donated Shandy Hall, an 1815 farmstead in Geneva, to WRHS. In 1956 Clara Belle Ritchie bequeathed the Hale Family Farm to the historical society upon her passing that year. In 1965 WRHS opened the Crawford Auto Aviation Museum following the donation of Fredrick Crawford’s Thompson Auto Album. In 1978 Josephine Kyle gave WRHS the historic house museum of Loghurst in Canfield. In 1984 a library housing all of the society’s archives, manuscripts, books, and photograph collections was opened, and the former library was converted to display the costume and textile collection in the Chisholm Halle Costume Wing. 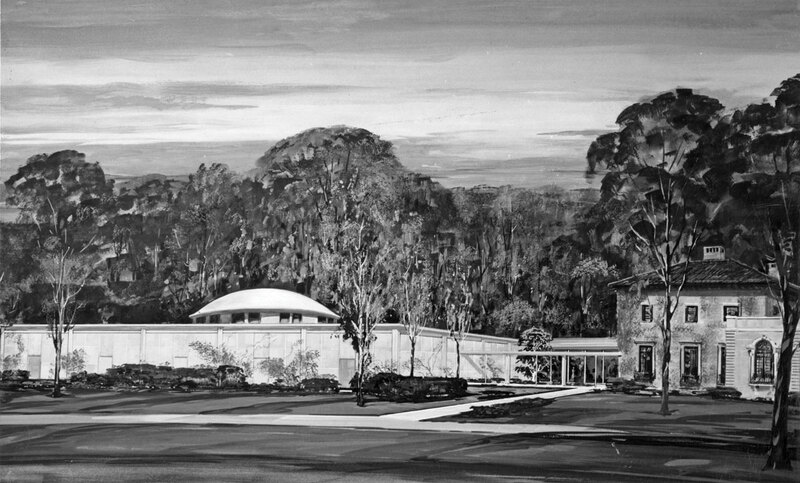 By 1993, the Research Library was connected to the rest of the museum with the construction of the Reinberger Gallery, home to the upcoming exhibit opening in November of 2017 – Cleveland Starts Here presented by the Jack, Joseph and Morton Mandel Foundation. 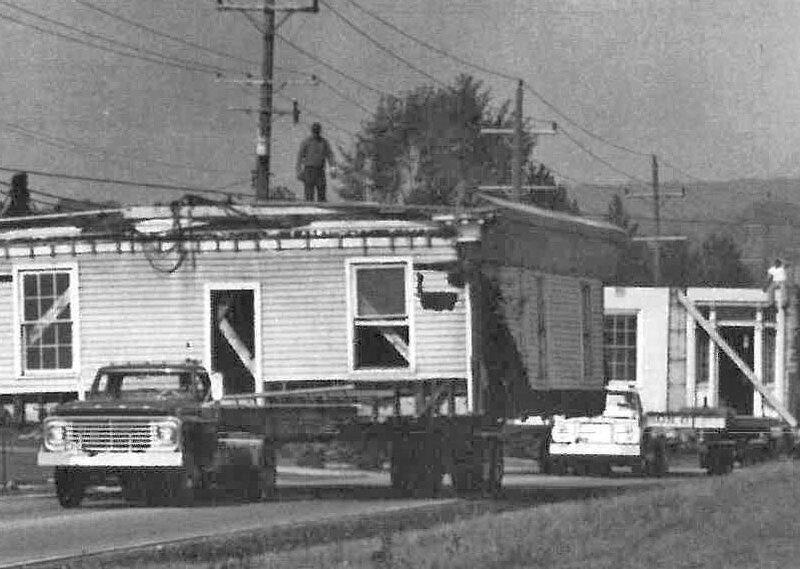 The Saltbox House being transported to its new home at Hale Farm. As many of you know, Hale Farm and Village has been at the forefront of Northeast Ohio and American history education since its public opening in 1958. At that time, Hale Farm had the 1825 Hale House and six original outbuildings. Early American craft and trade demonstrations were added in the 1960s. With those demonstrations, it didn’t take long for the museum to become so popular that WRHS created a master plan to expand the operation. This master plan included acquiring other pre-Civil War era historical buildings and moving them to Hale Farm to create an early Western Reserve village. So in the early 1960s, excavation of the Village Green began. 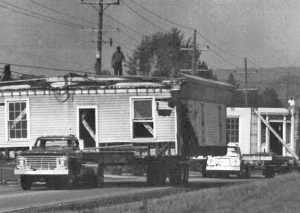 The Saltbox House and the Jagger House were among the first buildings relocated and placed in the Village. The Village was to reflect typical villages and town centers in the Western Reserve. Buildings were to come from within the Western Reserve boundaries. No building was to be moved if it could be saved on its original site. 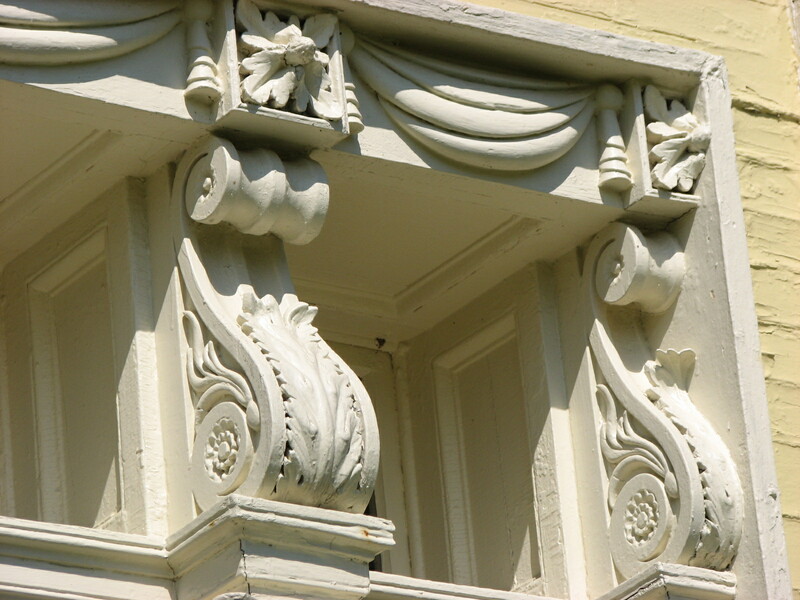 All buildings were either to have been built before 1850 or stylistically fit into that period. The buildings were to represent a variety of architectural styles and lifestyles. Today, Hale Farm & Village sits on 100 acres with 34 historic structures and an array of guest facilities. Hale Farm at its core is a living history museum and must-see for school field trips. But it also serves as a scenic venue for weddings and community events throughout the year. In 2018, Hale Farm & Village will celebrate its 60th anniversary as a living history museum that retells the stories of early Ohioans, as well preserves and teaches crafts, trades, farming, and gardening for the community it serves. Hale Farm & Village is like a second home for employee Joe Tokarsky. Like most homeowners, Joe notices and addresses things most guests to the Village probably don’t see, such as windows in need of glazing, old rails, or walls needing fresh paint. Joe is Hale Farm’s new maintenance and preservation lead, the point guy responsible for keeping all the historical buildings in good condition. He joined Hale Farm & Village in June and already has been making an impact with various maintenance projects. 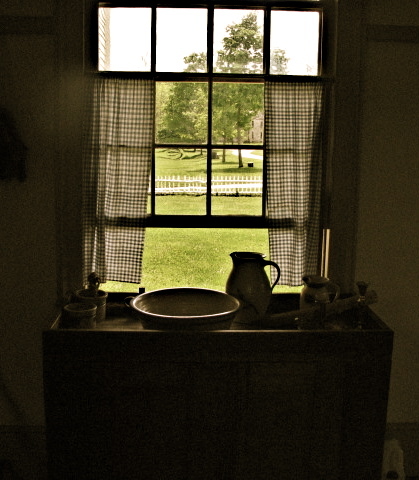 And believe it or not, much of the maintenance and preservation needed at Hale Farm involves small repairs to some of the hundreds of windows located throughout the museum’s property. In some buildings, Joe did have to remove window sashes and put up either plywood or Plexiglas as temporary windows. He does the repairs to the windows himself on-site. Joe’s restoration work isn’t limited to window repair or painting. He recently called in a professional contractor to re-point the mortar joints on the Herrick House’s exterior sandstone block. Prior the Harvest Festival in October, Joe was the one Hale Farm relied on to make quick repairs on the apple cider press. In preparing for winter, Joe and his team of three have kept busy painting, removing leaves from gutters, and sealing up any holes to prevent critters from moving into the buildings. The challenging part of the job is not so much the work itself but doing it while guests come to visit Hale Farm & Village without any interruptions to their experience. “It’s like a puzzle, getting (maintenance and preservation work) done with minimum interference to operations,” Joe said, noting that it can be a fun challenge, too. Hale Farm & Village is obviously known for being an educational museum that teaches history by demonstration. 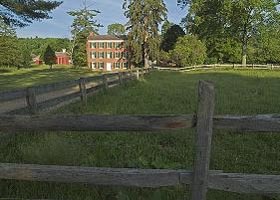 In keeping with that tradition, one of Joe’s goals is to bring in more college students to work on the maintenance and preservation of Hale Farm, either as an internship or a capstone project for graduation. That way, Hale Farm can benefit from fresh ideas, and the students can get experience in restoring history. Joe himself graduated from Belmont College this past May with a degree in building preservation and restoration. Prior to that, he grew up in a family that ran a furniture repair and refinishing business and developed his woodworking skills by helping out there. 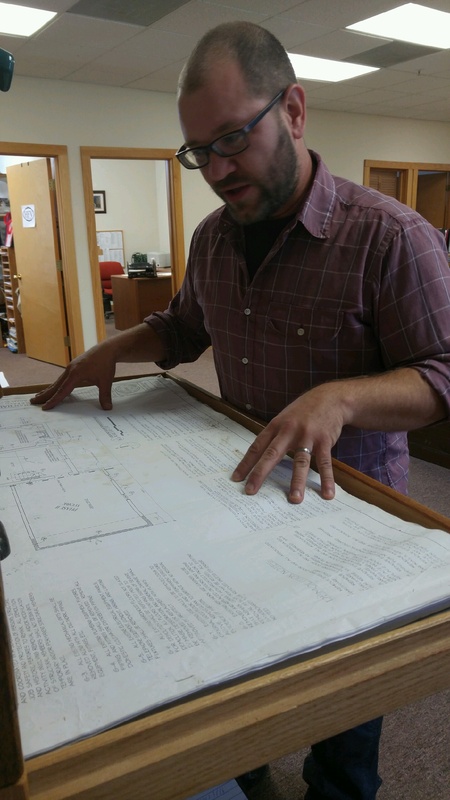 Joe is starting to pitch Hale Farm as an internship opportunity to his Alma mater and other local colleges that offer programs in building preservation. He would like to teach students not only how to repair a historical building but also how to continue to make Hale Farm a great experience for all visitors. Another one of Joe’s goals for recruiting college students for trades-based projects “is that their work will add to the continuing historical journey and archives of Hale Farm and Village,” he said. Autumn is here and for many of us Ohioans, it’s our favorite season because of the spectacular colors, the cooler temperatures, and the aromas and tastes of harvest season. Affordable admission. The cost of the Harvest Festival is $10 for adults, $5 for children ages 3-12 and free for WRHS members and youth 2yrs and under. So the Harvest Festival is a very affordable family outing that will be loaded with all kinds of fun activities. Pumpkin painting. What is autumn without pumpkin decorating? 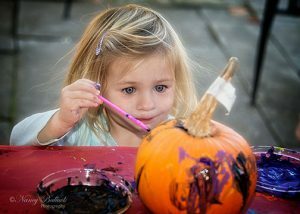 Purchase our pumpkins, and there will be paints and brushes available for the kids to paint whatever faces they choose. Wagon rides. Once again, Trail Light Farms will bring its draft horses to Hale Farm to provide wagon rides along with tractor hay rides throughout the Harvest Festival weekends, and wagon rides are included in the admission price. Apple picking, apple butter making, and apple cider! You can come to the orchard and pick apples with a wire basket on a long pole, put the apples in a burlap sack, then come over to the Herrick House to add the apples to a large kettle of apple butter! We invite all guests to help stir the boiling butter and taste Ohio made apple butter in the Herrick House kitchen. 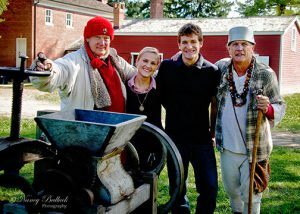 At Hale Barn, you can help us press apples into cider the quintessential Ohio fall drink. Johnny Appleseed. Speaking of apples, Johnny Appleseed will stop by to tell comical stories at noon and 2:30 on all days of the Harvest Festival. Played by Ray McNiece, the Johnny Appleseed presentation will feature plenty of audience participation. Fleas N Tiques sale. The Citizens of Hale will hold its first Fleas N Tiques vintage sale during Harvest Festival hours. This unique sale includes antiques, vintage household items and collectibles ranging from the 1800s to mid-20th century. All proceeds from this sale will support the Citizens of Hale’s projects for Hale Farm, such as garden restoration and maintenance. Corn maze, straw pile jumping and a pumpkin patch! Need we say more? 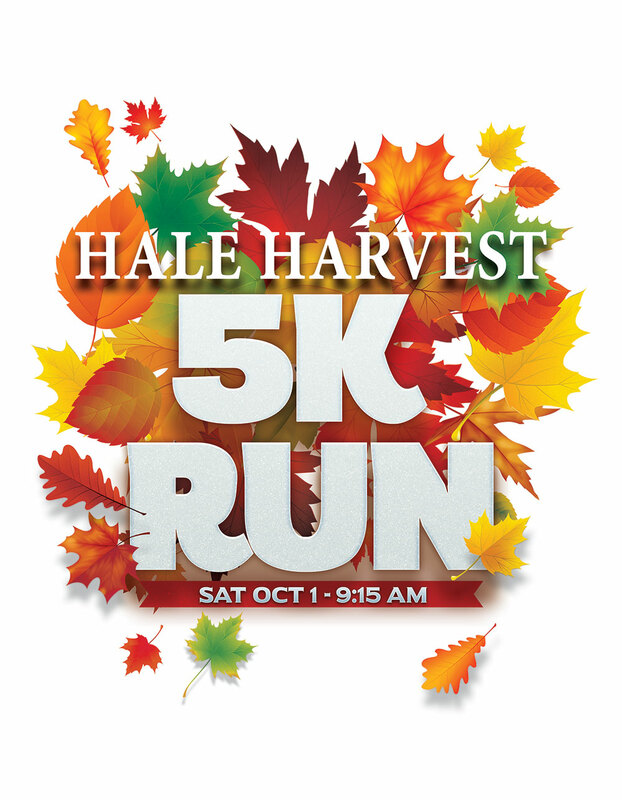 The Hale Harvest 5K run on October 1. Avid runners and walkers can traverse a three-mile loop course, starting at 9:15 a.m. The top three finishers overall and the top male and female finishers per category will receive handcrafted pieces from Hale Farm’s craft and trade artisans. Registration is $30 per runner and includes free admission to the festival on that day. 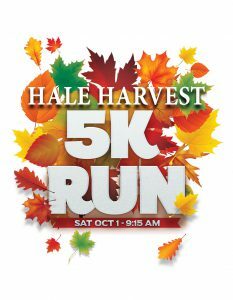 Check out halefarm.org for registration details. Good old-fashioned farm activities. Hale Farm & Village has always been known as a great escape from busy city life. So during the Harvest Festival, we’ll make sure to keep families busy with corn shucking, garden picking, and hand cultivating. Spinning, weaving, rugs, and lace. The Medina Spinning and Weaving Guild will be having a “spin-in” at the Hale House on October 1-2. What that means is, the group will bring their wheels and spin enough yarn to weave a blanket for the Goldsmith House. The other demonstrations include Western Reserve Rug Hookers (both Sundays of the festival) and Western Reserve Lace Society on October 8 and 9. 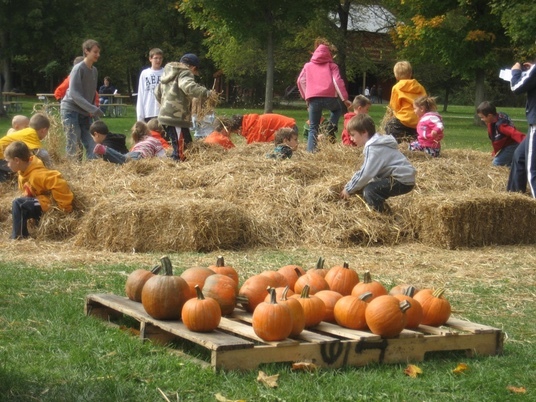 Of course, the Harvest Festival at Hale Farm will include other countless activities. We plan to have fall-themed crafts for the kids, and as with all of our festivals, our staff will demonstrate early American crafts and trades throughout the Village. The Hale Café will feature home baked apple and pumpkin pies and pumpkin roles, harvest chicken salad and brats, as well as our signature apple cider mimosas. Pick up a jar of apple or pumpkin butter, hand-blown glass pumpkins or seasonal candles in the MarketPlace and plan to spend the day on the farm! So rain or shine we will be having fun, bring the kids and let us entertain them! When hundreds of Civil War reenactors come to Hale Farm & Village on Aug. 13, they will again bring their uniforms, equipment, horses, and military protocol to recreate America’s defining historical period. The reenactment weekend will be just as meaningful for them as it will be for spectators, as they get to experience a taste of what Civil War soldiers endured. 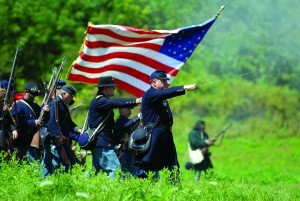 Akron resident Chris Smith, who has reenacted Civil War battles for the past 27 years, most of them at Hale Farm, likes to use the term “magic moments” to describe scenes that happen unexpectedly during a battle reenactment weekend. When Chris and his fellow reenactors visit Hale Farm, they camp out overnight on Saturday and use the same amenities that were available to Civil War soldiers, such as cooking breakfast and brewing coffee over a campfire. 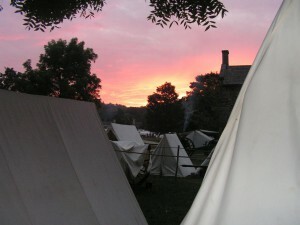 Every detail, including the tents they sleep in, are made to look as real as the resources Civil War soldiers used in their day. And unlike a virtual game on Xbox, these magic moments take your breath away, according to Chris. One year at a Hale Farm reenactment, five wild turkeys strode past the camping soldiers early in the morning toward the woods, as if they expected the reenactors to be there, Chris said. Bob Minton, who will serve as the overall federal commander at the upcoming Civil War reenactment, had a magic moment at Hale Farm last year when the armies recreated the surrender at Appomattox Court House, Va. Bob said it was one of the few times in his 24-year Civil War reenacting career that he couldn’t help but get all emotional. Hale Farm’s fields and village area provide a unique and beautiful backdrop to stage these historical moments, Bob said. This year’s event will involve recreating the Battle of Big Bethel, an early skirmish in the Civil War that took place near Newport News, Virginia on June 10, 1861. Big Bethel pitted 3,500 Union troops against 1,400 Confederate troops, and its significance lies in the fact it showed Federal authorities that the Confederacy was able to carry on a determined military struggle for independence. Hale Farm & Village has become the largest annual Civil War reenactment event in Ohio, hosting 500 to 800 reenactors, 6 to 8 cannons, and 35 to 50 cavalry, according to Bob. Many of these dedicated reenactors come from other states. Why do these guys keep coming back, not only to Hale Farm, but other national Civil War events? The heat of summer doesn’t stop them from donning the uniforms and putting on as authentic of a demonstration as possible. 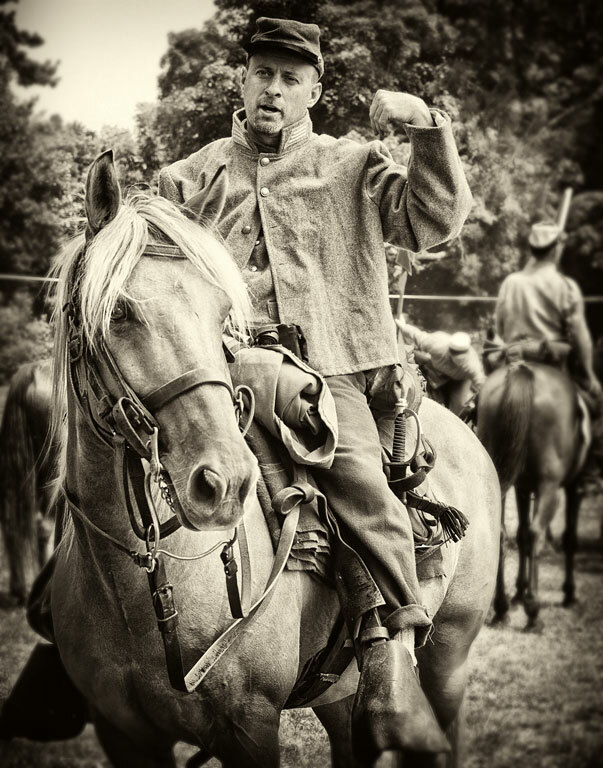 For Bob, Chris, and Mike Church, who rides in the Sixth Ohio Cavalry, Civil War reenacting brings awe and memorable interaction with the crowds. 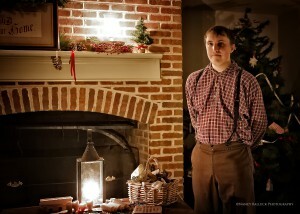 “Reenacting has gotten smaller (nationally), so small venues like Hale Farm & Village are more intimate,” Chris noted. “Talking to the crowd never gets boring,” not even 30 years later, Mike said. He’s been participating in reenactments since he was 17 and learned to ride a horse specifically for these events. Bob agreed with Mike that reenacting never gets boring and noted that all the battalions are always recruiting new reenactors. 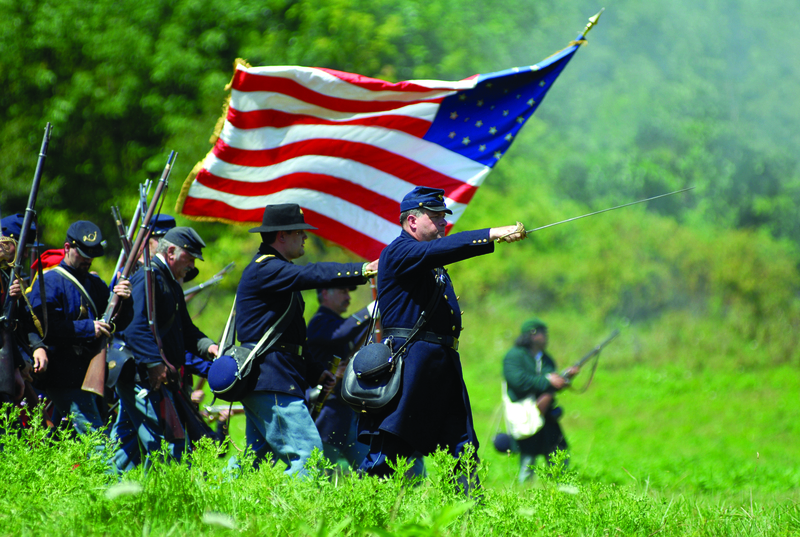 Men who are interested in becoming reenactors can ask any of the soldiers at Hale Farm’s Civil War reenactment about it, and they’ll gladly tell them where to find the nearest unit for meetings and mentoring. The units meet in the winter and spring to decide on their reenacting venues for the year, then practice drills in the spring, as well as the mornings of battle events, Bob said. Mike noted that if he stopped doing Civil War reenacting, he probably would never see all the men he’s become friends with over the years. He and his wife feel a special kinship to the other reenactors, and they all have driven up to eight hours to attend birthdays, weddings, and funerals. When the public visits Hale Farm and Village, most of them get eye-opening experiences of how dramatically different life in nineteenth-century Ohio was. Thanks to a dedicated staff of museum educators, Hale Farm visitors see history come alive. Guests experience living history – by touching a spinning wheel, tapping trees for maple sap, feeling woven cloth, and asking questions of the person doing the demonstration. Living History lessons are far more memorable than a textbook. Just ask museum educator Kirsten Fitzgerald. Kirsten can be seen at a different site on any given day at Hale Farm and Village. 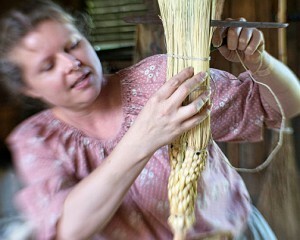 She demonstrates crafts such as spinning, weaving, broom-making, and candle-making, as well as dairying and housewifery. Museum educator Jim Schilling does such an effective job telling the history of various sites that young students will often ask him if he lives at Hale Farm and Village. Oh, and Jim’s favorite question from students is if he’s ever seen a ghost at the Goldsmith House? Not exactly a question he expected, but at least students visiting Hale Farm and Village are engaging with history. Museum educators are at the front line of Hale Farm and Village. They bring knowledge and personality together so that children can understand the history of the Western Reserve. And let’s be honest, it’s not always easy to dress up in 19th century costume and either feel too warm or cold at one of the buildings. Or to be asked – as Kirsten often is – if she feels hot during the summer. But no matter how uncomfortable the educators may feel, they love dressing up and interacting with kids and families. Museum educator Ron Meyer says most of the time he feels like he’s playing – like a big kid at “the Farm” almost year-round. Ron loves teaching visitors how to make brooms, maple syrup, and cheese, and how to preserve food, among others. On more than one occasion, Ron has had children hang back from their departing group and thank him for showing them how to make a broom because now they’re going to make one for their moms. Matt Stockhaus has had similar experiences with children on his Hale Farm and Village tours. Matt enjoys teaching children at the First Settlement log cabin and getting them to make sour faces when he tells them of all the chores they would have to do if their families were living at that house in the 1800’s. “I love hearing things like, ‘Wow! That was very interesting,’ or ‘I don’t think I’m ever going to forget that,’” Matt says about his interactions. 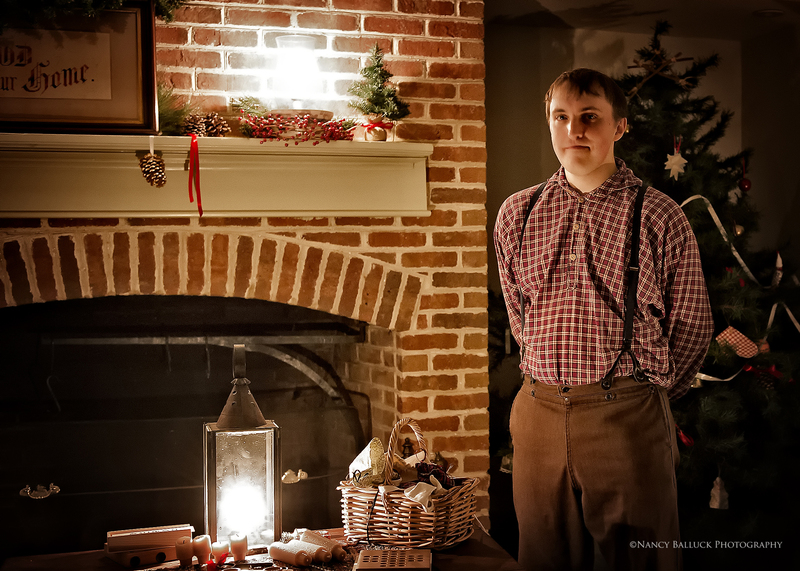 Last December’s Holiday Lantern Tours were especially satisfying for Matt. He loved researching and creating the skit to entertain guests. The whole time, he and his colleagues acted out their parts in first person, which led to unforgettable conversations with the kids. Kirsten summarizes the joy that she and her colleagues receive from recreating history for visitors: On a school field trip day, a group of children from a variety of other countries came and were “beyond fascinated” with her spinning demonstration. The lesson reminded them of home, and they left with big smiles and told their interpreters they were happy. Kirsten says that experience is what it’s all about at Hale Farm and Village. How does someone become a paid museum educator at Hale Farm? And yes, they are paid for the time, research, and sweat they put in to make living history fun for visitors. Many educators have a background in education, majored in history at college, or had a passion for historical crafts. Others rely on their summers at Hale Farm for professional development and ongoing training. Kirsten for example, had a love for crafts and learning about history. Jim wanted to teach part-time after retiring as a school principal, and Hale Farm was hiring. Ron volunteered at Hale Farm for a while after retiring, then applied to be a museum educator in 2012. The history majors who first interned/volunteered at Hale Farm before hiring on as museum educators are Matt and Megan Smeznik. Megan is pursuing a master’s degree in public history from Kent State University, and her passion is to intersect technology, history, and museums to produce new and diverse experiences for museum goers. Matt not only interned at Hale Farm but also at the National Museum of the U.S. Navy (link to this page) in Washington D.C. Some Hale Farm & Village educators have more unique stories, Becky Monegan was introduced to Betty Gatewood, then-head of Hale Farm’s Spinning and Weaving Department by a dead bluebird. No joke. Becky’s husband found a dead banded bluebird in their yard and called the Cuyahoga Valley National Park to see if they could identify where the bluebird began his journey. They referred the Monegans to Betty, a local bird bander. When the Monegans arrived at Betty’s house, Becky said they were kindred spirits from the start. Naturally, Becky followed Betty to work at Hale Farm and Village, and she’s been weaving her history with Hale Farm for over 30 years now. Each and every staff member has a special story to share with guests. When you visit Hale Farm & Village next make sure to listen, share and create your own story! What would a summer be like without music and food? And what’s a fine wine without a complementary piece of cheese? Hale Farm & Village will bring together the best of all the above-mentioned elements on July 9 and 10 at its Music in the Valley Folk & Wine Festival. And when I say the best, I mean some excellent local folk musicians will be there along with popular vintages from Ohio’s well-known wineries. The 2016 Music in the Valley Folk & Wine Festival will run from 10 a.m. to 7 p.m., and this year’s event is the first in its 41-year history to be sponsored by TheWineBuzz magazine. I spoke with Sue Myers, publisher and creative director for TheWineBuzz, about what to expect in this year’s tastings of Ohio-made wines. She told me the magazine and Hale Farm will hold two winetasting seminars on both Saturday and Sunday, a sensory experience of wine at 2:00 and a pairing of wine and cheeses at 4:00. Participation will be on a first come, first serve basis and limited to the first 24 people at each seminar. Four Ohio wines, two reds and two whites, will be sampled, along with apple slices, lemon wedges, and a small pile of salt. Participants will taste the wine by itself, then taste each of these food items to get a sense of how each complements the full components of the wine. The pairing of cheeses with wines at 4:00 will be a similar experience. Sue, who cultivates her own vineyard on a small plot in Madison, Ohio, says she knows personally how difficult it is to grow grapes, then produce quality wine and market it. Attendees will see that she is a wealth of knowledge on winetasting, as well as a big music and Hale Farm aficionado. Following the seminars, attendees will receive some neat goodies to take home, such as tasting journals, wine-and-food-pairing wheels, and wine-and-cheese-pairing information. Admission to the Music in the Valley Folk & Wine Festival is $10 for adults and $5 for children 3 to 12 years in age; WRHS members are free. Wine and tastings are $10 for a glass and 5 tickets (good for one tasting each). 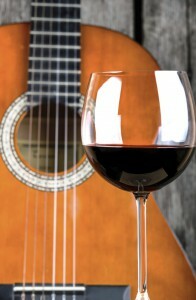 Although the winetasting seminars will have limited attendance, don’t be discouraged, folk music fans. You will have other opportunities to whet your palates at the Music in the Valley Folk & Wine Festival and learn the nuances of winemaking from the producers themselves. The Winery at Spring Hill and more. 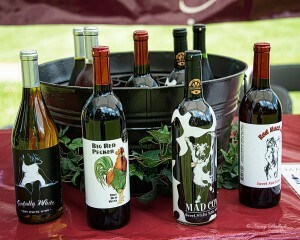 Maize Valley will bring its Redneck Red Sweet, Sinfully White, Mad Cow, and Big Red Pecker wines. M Cellars will bring Rkatsiteli, a white, crisp wine made from Ukrainian-grown grapes; a Chablis-style chardonnay, Terroir Red, and Meritage blends. The Winery at Spring Hill will bring not only their award winning wines but also hard apple ciders (regular and hopped). The other big sponsors for the Music in the Valley Folk & Wine Festival continue to be Folknet and the Barking Spider Tavern of Cleveland. Hale Farm will set up a main stage under a large tent in the Village Green where attendees can hear Northeast Ohio folk musicians Charlie Mosbrook, The Fretters, Red Brick Rhoades, Stone Cold Soup, Rock Salt & Nails and others. No doubt many past attendees to the Music in the Valley Folk & Wine Festival are familiar with Charlie’s music, which is strongly influenced by the tunes of Woody Guthrie, Elizabeth Cotton, and James Bland. Charlie hosts open mic folk music nights at Phoenix Coffee in Cleveland Heights, and his most recent record is A Time Long Gone, released February 2015. He is scheduled to perform on Hale Farm’s stage on Saturday at 2:40 p.m.
At least 200 folk musicians come out to the Music in the Valley Folk & Wine Festival every year, Bill Schilling, Folknet’s treasurer told me. Some come from out of state to find a good spot by a tree to strum their guitars, banjos, fiddles, or dulcimers. Bill noted that Folknet’s involvement in Hale Farm’s folk festival started decades ago at roughly the same time that the Folknet musician duo of Jim Tucker and Dave Trowbridge were playing music at Hale Farm every weekend. 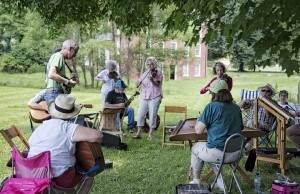 From that time, Folknet began partnering with Hale Farm and Village on its annual folk music festival. “This event gets a lot of people together to play with each other and get to know each other, even if they’re vastly different,” Bill said about the event’s significance to Folknet. That said, bring your lawn chairs and blankets and relax to some great tunes at Hale Farm & Village. 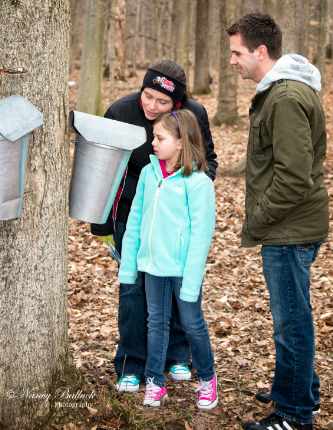 Every March visitors to Hale Farm & Village take a trip back in time to when early Ohio settlers began a tradition that’s now known and celebrated as the Maple Sugar Festival. Of course, Ohioans in the 1800s probably didn’t call their late winter maple-tree tapping a festival, but the onset of maple sap brought families together to socialize and welcome spring, just as it still does today. Besides, can you think of a better place than Hale Farm to take the kids in mid-March for a pancake breakfast, then see some cute oxen, sheep, and baby chicks? Then you can head over to the Sugar House where storyteller Jeff Jones will be dressed in his authentic 1812-era trousers and stockings. A veteran Maple Sugar Festival historian, Jeff really knows his stuff. 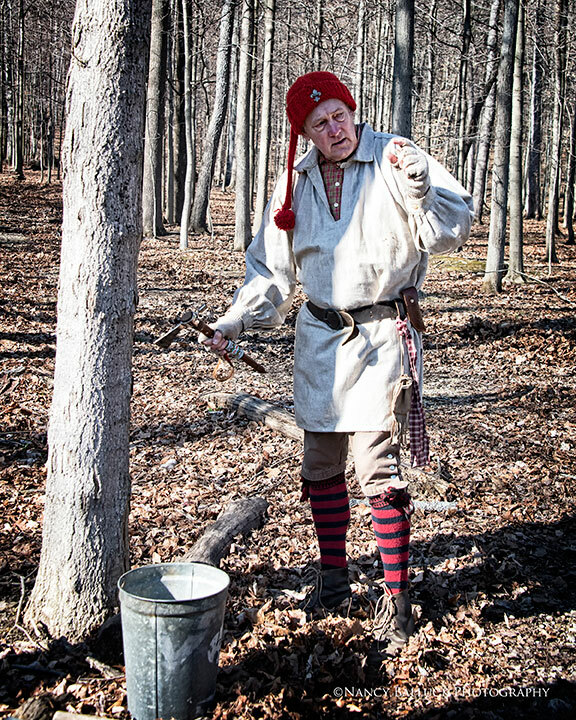 He will take you and your family to the sugar bush near the Sugar House with his drill and tomahawk and show you how early settlers and Indians tapped the maple trees for sap, then boiled it for eight hours into sweet syrup. But don’t worry, you won’t need to stand around in the cold for eight hours watching sap turn into syrup. Hale Farm will have samples of maple syrup made days before and ready for tasting at the Maple Sugar Festival. Hale Farm & Village will open all its buildings during the Maple Sugar Festival, so besides sugaring camp there will be glassblowing, spinning and weaving, as well as blacksmithing demonstrations. The marketplace will also be open for shopping, and Ohio-made syrup will be among the items available for purchase. The festival will run from 10 am to 4 pm on March 12, 13, 19, and 20. Admission for breakfast (which will be served until 3 pm) and all the activities is $15 for adults, $10 for children age 3-12, and $5 for members. You can come to the breakfast only for $5. And as I mentioned, you can see the new baby chicks that just arrived at Hale Farm, as well as oxen Star and Bright. These two gentle giants weigh 2,500 pounds each and are capable of pulling 2,000 pounds when yoked together. 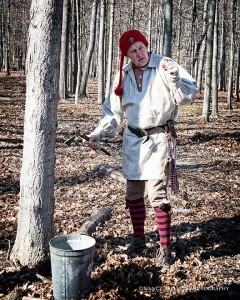 At sugaring camp, Jeff will show you how 19th century Ohioans had some grit because making maple syrup was really hard work. Consider this: Maple sap is 98% water and takes eight hours of boiling to make syrup; it also takes 40-plus gallons of sap to make one gallon of syrup. 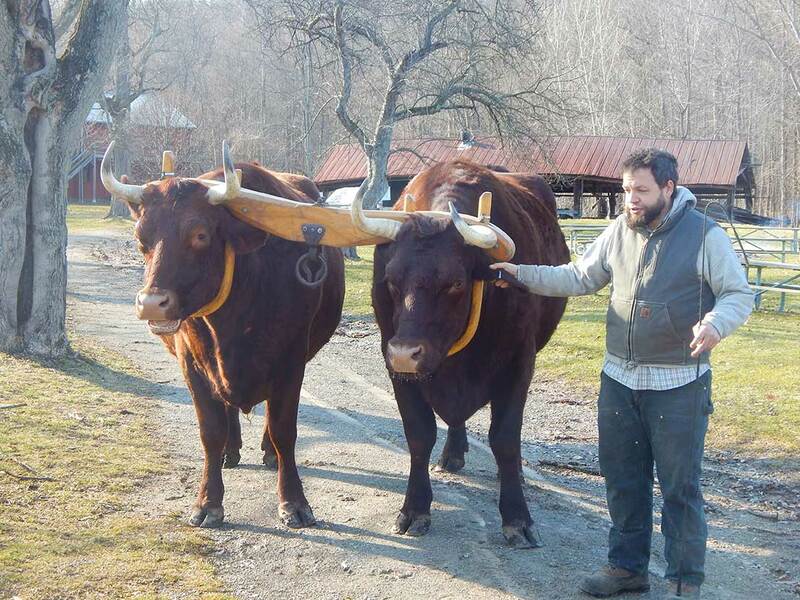 Resident oxen, Star and Bright, will be on hand to provide a driving demonstration during the Hale Farm & Village Maple Sugar Festival. Additionally, weather conditions for tapping the trees need to be just right. At Hale Farm, the best results for harvesting the most sap is when the days reach highs of 40 degrees or more following nights of freezing or below-freezing temperatures. Amazingly, maple sugar was as good as gold to early Ohio settlers because they could trade it for necessities like food, clothing, and even windows for their homes. Jeff explained to me that in the early 20th century, C.O. Hale would produce 300-400 gallons of maple syrup. Today, Hale Farm only produces maple syrup for the Maple Sugar Festival. The sugar bush has 30 available maple trees to tap from—not enough to make maple syrup for commercial purposes. Even so, the Maple Sugar Festival at Hale Farm & Village will have plenty of Ohio-made maple syrup at its MarketPlace, as well as the pancake breakfast. It will be a great time for everyone with cabin fever to come out, socialize, and learn a little more about Ohio’s heritage. What’s brewing in the Pint Size Farm? Great Lakes Brewing Co. Pint Size Farm at Hale Farm and Village. 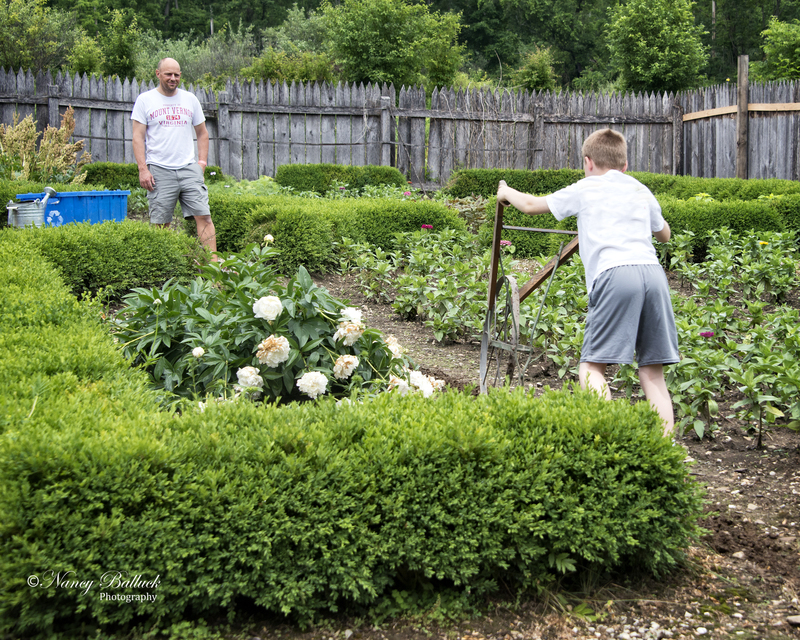 The gardens at Hale Farm & Village are a beauty to see in the summer, but did you know that Hale Farm’s gardening extends beyond aesthetics to supporting specialty items such as Great Lakes Pumpkin Ale? Yes, Hale Farm grows flowers and vegetables that are historically accurate to the periods in Ohio history the farm celebrates. 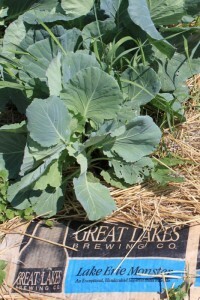 But it also forged a partnership with Great Lakes Brewing Co. to help meet local demand for organically grown food that Great Lakes serves at its Brewpub restaurant in Cleveland’s Ohio City neighborhood. This partnership began in 2007 and is embodied in the Pint Size Farm, a 16,000-square foot plot located behind the Goldsmith Garden. Great Lakes financially supports WRHS in exchange for use of Hale Farm’s land, water, and greenhouse, while Pint Size Farm is maintained by Great Lakes’ farmer, Christine DeJesus. Christine does all the labor in the Pint Size Farm and transports the vegetables to the Brewpub twice a week. Her annual harvest includes a small number of hops that are used in small-batch beers served at the restaurant. When Great Lakes Brewing Co. needed local, organically grown pumpkins for its special release of Pumpkin Ale last fall, it relied on Christine and Hale Farm. In September 2015, Christine supplied 1,000 pounds of Cinnamon Girl variety pumpkins for the Brewpub and a limited distribution of the ale in 22 ounce bottles. Sherri Wesner, Hale Farm’s farm and horticulture coordinator, also was gave Christine leftover pumpkins from Hale Farm’s harvest festival to take to Great Lakes’ restaurant. At the Brewpub, the menu designates which meals have vegetables that come from Pint Size Farm. This year, the restaurant will incorporate Pint Size Farm produce into a meatless Monday menu option. Christine works with Katie Simmons, Great Lakes’ sustainable foods coordinator, to plan which crops to grow each year, how best to showcase them, and how to preserve them for longer use at the Brewpub. For example, Katie has pickled peppers and onions and made horseradish sauce from Pint Size Farm’s produce. Row covers and solar mulch. Besides using homemade pest sprays, Christine takes advantage of natural predators in the area. For example, she has constructed stick piles to house snakes, which then hunt field mice. Also, Pint Size Farm is surrounded by a tall, wired fence to keep out deer. Great Lakes’ brewery ships 10 tons of spent grain to Hale Farm, which Christine uses as a ground nutrient. And just as farming historically relied on hand tools, Christine does most of her work in the Pint Size Farm by hand. Her only power tools are a rototiller and weed wacker, and she eagerly demonstrates her organic farming techniques to Hale Farm’s visitors. Much of what’s planted at Hale Farm & Village begins as seed in trays and is housed in Hale Farm’s greenhouse in the spring, except for the crops that can be directly sown in the fields. The greenhouse, located by the visitors’ parking lot, was built in 2005 and has state-of-the-art heating and cooling systems, according to Hale Farm’s Sherri Wesner. The greenhouse is not open to the public but it is shared by Hale Farm and Great Lakes Brewing Co. Crown Point Ecology Center has also rented space in the greenhouse in the past but isn’t doing so this year. Christine starts approximately 5,000 seedlings in the greenhouse. She prefers using the polyculture farming technique of multiple crops in the same space. Her farming plan this year involves growing a variety of squash, peppers, onions, tomatoes, beets, melons, eggplants, herbs, and greens, such as kale, spinach, lettuce, and leeks. Christine does much of the sowing and transplanting and care herself, but she does receive some volunteer help from Great Lakes employees, about 6-8 times a year. Sherri starts sowing seeds in the greenhouse of plants that were grown in the 1800s and transplants them into the gardens in May and June. Sowing times vary each year, and to date Sherri hasn’t started the seedlings for this season yet. Flax, just one of the many herbs in Herb Garden by the Salt Box House, which is cultivated and maintained every year by the Bath Gamma Garden Club. Root vegetables for the First Settlement Garden. 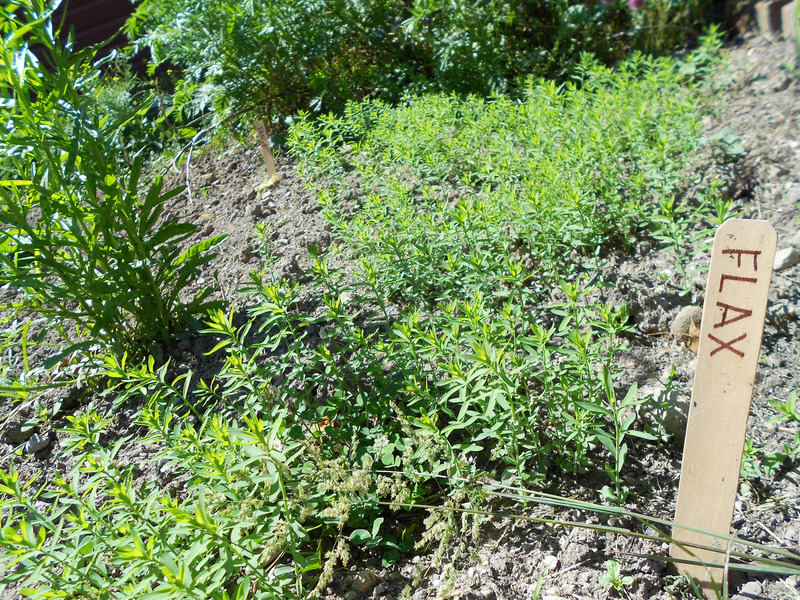 Plants used in dyeing wool, such as marigold and flax for the Dye Garden. Season veggies and herbs for the Kitchen garden. Perennials for the Goldsmith Garden. 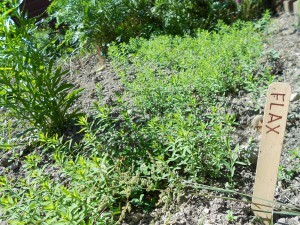 Culinary and medicinal herbs for the Herb Garden by the Salt Box House. One of the gardens listed, the Herb Garden by the Salt Box House, is cultivated and maintained every year by the Bath Gamma Garden Club. The other gardens are cared for by just Sherri, and she said there is always a need for more volunteers to help with gardening needs throughout the year. 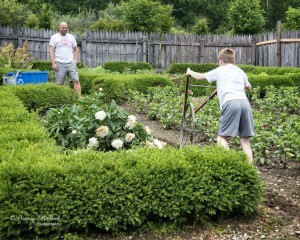 Anyone interesting in helping with the gardens at Hale Farm can email Sherri swesner@wrhs.org. 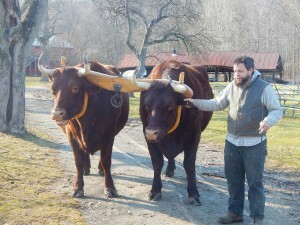 History and education naturally intersect at Hale Farm & Village. In June, that intersection will comprise a garden symposium and the Sow and Grow Festival, which is a family experience of the past and present farming lifestyle. And at both events, visitors will see the presence and influence of the Citizens of Hale. I’ll bet you’ve never heard of the Citizens of Hale. And that’s OK, because they’re a fairly new group committed to volunteering around Hale Farm & Village and its events. In fact, they are often the helping hands that make things happen at Hale Farm. The Citizens of Hale’s handiwork is visible everywhere at the farm: in new coats of paint on the historical buildings; in neatly cultivated gardens with perennials; and in the overall landscaping. Although a recent volunteer concept, the Citizens of Hale’s roots come from a women’s committee that met at the farm years ago to discuss and implement needed gardening and building improvement projects. Today, anyone who chooses to become a member of the Western Reserve Historical Society can designate a rider from their dues to go toward the Citizens of Hale as a classification of membership. That rider supports many projects at Hale Farm & Village, and Citizen members meet once a month at Hale Farm to discuss various projects. Kathie VanDevere, co-chair of the Citizens of Hale, is spearheading Hale Farm’s “Fields & Forests, Farms & Gardens – A Midwestern Garden History & Design Symposium” from 9 am to 4:30 pm on June 9. 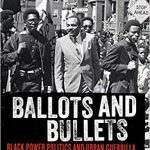 Cost is $50 per person and includes the lectures, lunch, and tours. The symposium is open to everyone and its purpose is to teach how to beautify our green spaces here in Northeast Ohio. But in order to do that we need to understand which trees and plants are native here, and therefore will grow very well on our properties. Enter William Hahn, retired arborist for the city of Akron. He will kick off the series of presentations at the symposium by describing the types of forests that were in Ohio when the first settlers arrived and how we can plant those types of trees in our yards. Kathie and the Citizens of Hale are also bringing in Dr. Casey Hoy from Ohio Agricultural Research and Development Center in Wooster, Ohio, to discuss how to best restore nutrients to farmland. 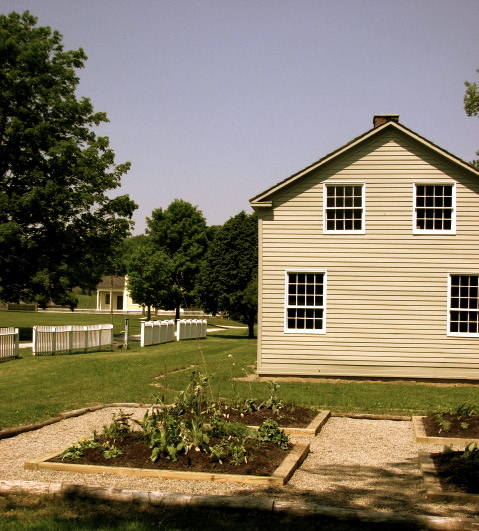 Kathie noted that anyone who has a home built on former farmland, such as along Route 18 for example, would benefit from Dr. Hoy’s advice on restoring the soil for gardening. Landscaper Amy Frietag will be another presenter who will bring her experiences and lessons from restoring New York City’s parks. And S. Victor Fletcher, head archivist the University of Akron’s archival services, will conclude the lectures with documents showing what previous generations did to the gardens and landscapes around what are now historical homes. As I spoke with Kathie about these various presenters, she was passionate about the historical significance Mr. Fletcher will bring to the symposium. Many townships in Summit County have homes that are or nearly 200 years old, and as people attempt to restore them, having old photographs or letters documenting how they used to look like will go a long way in their preservation. “People with historical properties need to write it down and save it somewhere because it increases the resale value of the home,” Kathie explained. Hale Farm & Village’s Sow and Grow Festival will occur immediately after the symposium on June 11-12. Cost is $10 for adults and $5 for children, while members are free. Similar to last year, the festival will include all early American craft and trade demonstrations, including; glassblowing, blacksmithing, broom making, spinning and weaving. History of the buildings and horticulture will also be presented. Pam Reitz, also co-chair of the Citizens of Hale, will be on-site with the Citizens and other volunteers selling older varieties of plants that grew abundantly in the Western Reserve area: shrubs, perennials such as older hydrangeas, annuals such as begonias, herbs such as Astoria and hyssops; day lilies, and snowberry bushes, among others. “We’ll have a little of everything,” Pam said, noting that the plant sale is a fundraiser that will enable the Citizens of Hale to continue to do projects around Hale Farm. The plant sale will be behind the Welcome Center at the carriage shed. Pam plans to recruit volunteers from the local garden centers to help with the plant sale throughout the Sow and Grow Festival weekend. Like Kathie, she believes that raising awareness of volunteer needs for gardening and preservation will help Hale Farm and our local communities.